This mannequin is part of a shop window display. The wares being displayed are a hauberk and coif of maille (or mail), and a barbute. 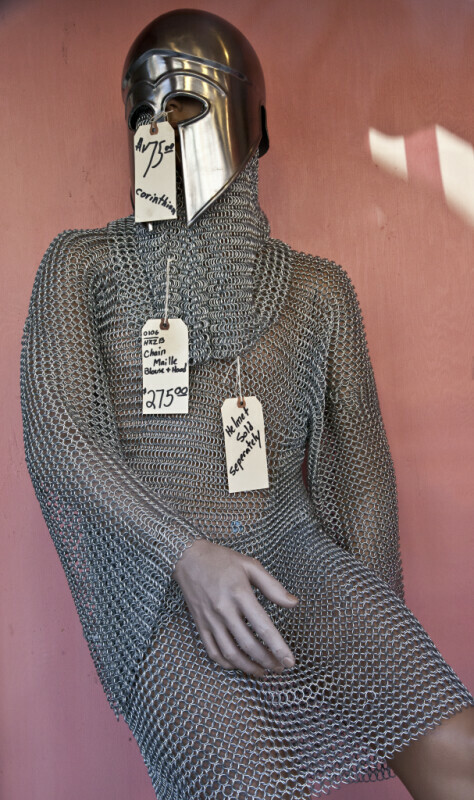 Maille is sometimes referred to as chainmail; however, all maille consists of interlocking metal links, and it is superfluous to add the word chain. The helm is a Corinthian style barbute, which is indicated on the hang tag.